For CT Fletcher, exercise and weightlifting are not just hobbies, they are a way of life. This fitness fanatic can be seen on YouTube and Instagram accomplishing incredible feats of strength and endurance, while training some of the strongest men and women in the world of powerlifting. Fletcher began his career as a powerlifter and trainer after serving in the US Army in the late ‘70s. He first developed an interest in martial arts, completing a second-degree black belt in Karate in 1979 before moving into bodybuilding, which eventually led him to his lifelong passion: powerlifting. Fletcher subsequently ran into some health problems, eventually undergoing several open-heart surgeries, including an 11-hour heart transplant surgery. After such a considerable setback, his professional powerlifting career seemed to be behind him. However, this did not stop the three-time World Bench Press champion from pursuing his dreams. He returned to the world of bodybuilding and began to train others using the skills and knowledge he gained as one of the best lifters in the world. 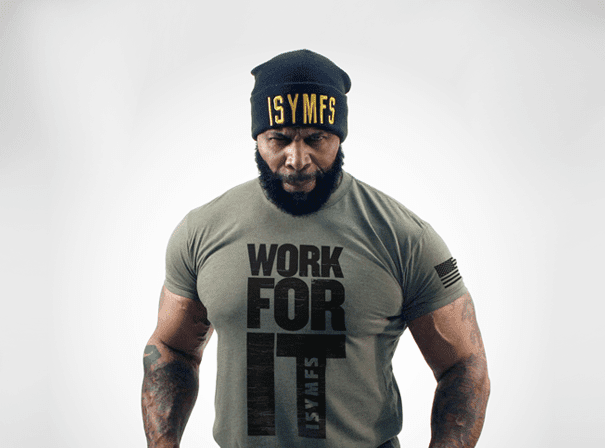 Since then, Fletcher has expanded his reach through the advent of social media and the internet, promoting his brand through his Iron Addicts gym and popular ISYMFS line of clothing and apparel. This powerlifting guru currently produces weekly content for his hugely popular YouTube channel and trains many prominent weightlifters, bodybuilders, and professional athletes across all disciplines.